-Use the same weight for each set of pullups and dips. When the two pullups are completed, move directly to ring dips. Post your increments and body weight to the comments. Try to do these strict, no kipping involved. Any grip is fine for pullups, but you must start each rep from a deadhang. For the ring dips, you will start in a full lockout support position, and dip down until your shoulder is below your elbow. Feel free to stretch or practice other things between sets. Today we will pretty much run things as a “get a set when you’re ready” type deal, and will have the pullup bar and rings to yourself for your set. More pictures from yesterday on the picture page. 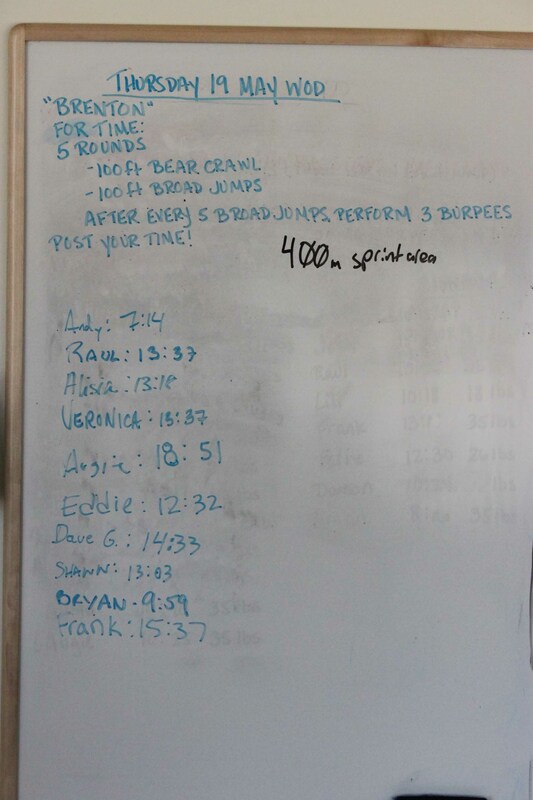 This entry was posted in Gym shots, Pictures, Video, Whiteboard, WOD. Bookmark the permalink.